Few years back the word “Minnows” reminded everyone in the cricketing fraternity about the Bangladesh Cricket Team. They were consistently beaten across all the formats of the game. Several nations used their reserve team to beat the Bangladesh Cricket team. After getting their International Status in 1997, the Bangladesh Cricket Team failed to win matches consistently. Facing the Bangladesh Cricket Team was like a cakewalk for majority of the teams. They were beaten convincingly in both home and away conditions. The Bangladesh Cricket Team had some extraordinary talents in their ranks with the likes of spinner Mohammed Rafique, opener Hannan Sarkar, ever-reliable Habibul Bashar, All- Rounder Khalid Mahmud. But they failed to replicate the success as a team. 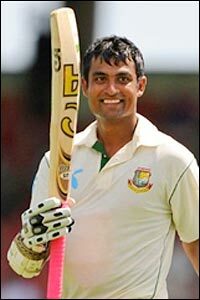 Soon the Bangladesh Cricket Team got a gifted batsman with enormous talent who could play all the shots in the book. The debut of Mohammed Ashraful at a tender age of 17 started to change the revival of the Bangladesh Cricket Team. Bangladesh players pose after they beat Australia in an ODI at Cardiff. The moment that boasted the morale of the Bangladesh Cricket Team came in 2005 when they beat 2 time World Champions Australia fair and square in an One-day International at Cardiff. An impressive hundred by Mohammed Ashraful sinked the Aussies.After that victory, the Bangladesh Cricket Team started to believe in themselves. They gave tough competition for other teams yet struggled to win games. With their star players getting old, the Bangladesh Cricket Team seemed to deteriorate further. Many felt that it would be a difficult job to pick the replacement for their ageing stars. The year 2006 was the time when the fortunes of the Bangladesh Cricket Team looked bright. 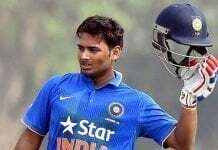 An All-Rounder from Khulna Division made his debut for Bangladesh Cricket team and started delivering with both bat and ball. The All-Rounder was known to the outer world as Shakib Al Hasan. When he made his debut, Shakib was considered as the man for taking the Bangladesh cricket in the right direction. 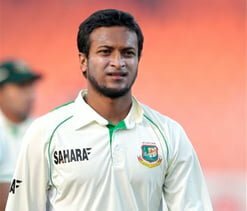 Shakib is a left handed batsman, a slow left arm bowler and is also an electrifying fielder. He has all the attributes needed for an All-Rounder and no wonder why he is the no. 1 All-Rounder in the world today. Tamim Iqbal’s presence at the top is crucial in Bangladesh’s batting line-up. The Debut of Tamim Iqbal gave the Bangladesh Cricket Team a much needed fire power at the top and he played a perfect foil to Shariar Nafees. He laid a solid platform at the top time and time again. His innings against India in the 2007 World Cup showed the cricketing world what he is capable of. Tamim along with another rookie dashed India’s chances of making it to the second round. The Bangladesh Cricket Team made it to the second round of a Global ICC event for the first time in history. Later in the year they made it to the second round of the inaugural Twenty20 World Cup in South Africa. The Bangladesh Cricket Team even went on to win their maiden test series against a Test Playing nation when Shakib & co beat the depleted West Indies side convincingly. Post 2011 World Cup, the Bangladesh Cricket Team has gradually took the spotlight among other teams. In the past they lacked a finisher but the problem was solved in the best way it could have been done. Nasir Hossain made a big impression as a finisher across all formats in his short International career. His arrival meant that the Bangladesh Cricket Team had a reliable number 7 to finish off the innings in style and carry the team home successfully. He made sure that the hard work of Tamim, Shakib and Rahim was not wasted. The 2012 Asia Cup showed what the Bangla Tigers are capable at home. They beat Sri Lanka and India and made it to the finals where they narrowly lost to Pakistan. With Ashraful back to his best, the Bangladesh Cricket Team has become a force to reckon with. Mashrafe Mortaza’s return from injury will be a blessing in disguise for the Bangladesh Cricket Team. Their bowling looks weak and their Mushfiqur Rahim is hoping to find a solution soon. The Bangladesh Cricket Team led by energetic Mushfiqur Rahim has the right mix of Youth and Experience. With their players at the early stage of 20’s, the Bangladesh Cricket Team will be a team to beat in the future. Can the ICC World Twenty20 2014 at home change the fortunes for the Bangladesh Cricket Team? Next articleLeg Spin – An Art in Danger?